Buy beautiful natural gold nuggets by the gram! Photo is representative of the typical size of #10 mesh nuggets. 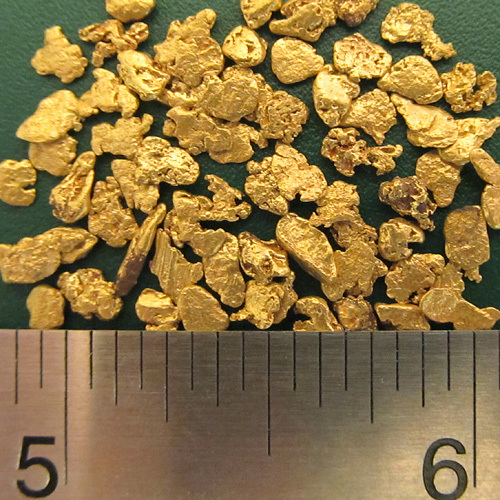 Number of grams you purchase determines how many individual pieces of gold you will receive. Just type the number of grams you want into the quantity box.